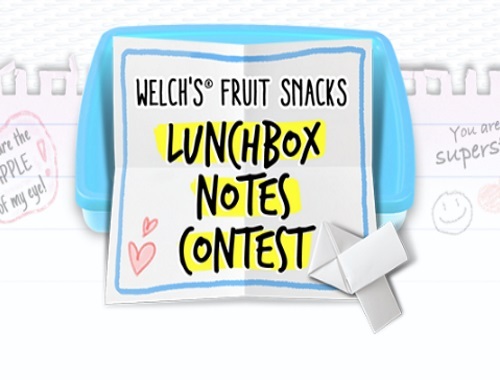 Welch's has a Fruit Snacks Lunchbox Notes contest! Enter to win $1000 and a year's supply of Welch's fruit snacks! There's also 5 prizes of $200 and a one month's supply of Welch's fruit snacks. Contest closes March 3, 2017. Quebec is excluded. Come back each day to submit new lunch box notes for even more chances to win!